To commemorate the happy day when two of your favorite people joined together in wedded bliss, we have a fantastic selection of amazing gifts. You’ll find traditional anniversary gifts as well as outside-the-box items. Finding the perfect gift is as much fun as receiving it. 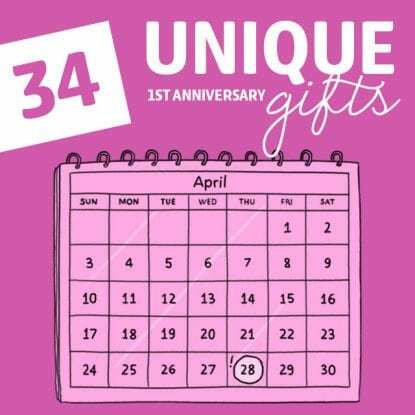 Fun presents like silly mugs and key chains are on this 5 year anniversary gifts list that will delight the lucky recipients and make them think of you for years to come. There are lots of options out there for great gifts. If you are looking for amazing 10 year anniversary gifts that will delight the special couple for years to come, look no further than this list of creative and inspired offerings from custom wine barrels to horseshoe trivets. The only thing worse than forgetting your anniversary is getting your special someone a lousy gift! Whether you’re looking for a traditional gift, like a clock, or something a bit more offbeat, every item on this list will last the test of time.